Today we feature talented picture book writer, Rachel Greene Stones in the Author Spotlight! Be sure to enter her giveaway for a Picture Book Critique in the Rafflecopter! Thanks for having me! Kidlit 411 is one of my favorite sites and I’m excited to be here. I’ve loved writing since I was a kid, but when I went to college it didn’t occur to me that studying writing was a viable option. (Viable, schmiable!) After college I was a school teacher and then a small business owner. Several years ago I had an epiphany. I was too old to not be doing something I love. I took my first online writing class and was immediately hooked. I joined SCBWI and have been immersed in the Kidlit world ever since. This summer is a big turning point for me. I am hitting a milestone birthday and my baby is starting Kindergarten. (Cue alternating tears and cheers.) To celebrate, I am starting my MFA. What better time to get back to chasing my dreams? I am finishing up revisions on a humorous, boy-centric, middle grade novel. My next project is another middle grade, this one featuring a quirky girl with an imagination that rivals Walter Mitty’s. I always have a picture book or two in the works, the latest meshing the swagger of Pete the Cat with endearingly morbid humor as in This is Not My Hat. It depends on what I am starting with. My ideas often come when something random pops into my mind: a name, line of dialogue, or a title. I treat these as clues and ask myself questions to try to figure out what the story could be. As far as “plotting vs. pantsing” goes, I’m still figuring that out for myself. I wrote my first novel without an outline and while it was freeing in some ways, it created a lot more work in the end. I had to fix a lot of problems that could have been avoided with a little planning. I find it easier to create a general outline with major plot points. The story may take me off course, causing my GPS to re-calibrate. But it saves me work in the long run if I have at least a general idea of where the story is going beforehand. 1. FIND. YOUR. WEIRDOS. Writers can be a quirky bunch. Let’s face it. I’m weird. You’re weird. We’re all weird. Why not be weird together? Writing can be a lonely and discouraging journey if you don’t have people to swap critiques, give encouragement, and vent with. Good writing friends will help preserve your sanity on this crazy journey. (Shout out to my awesome weirdos!) SCBWI is a great place to find your own weirdos. 2. Use your time wisely. Get involved, but not TOO involved. Once you start to realize how many great resources are out there, it’s tempting to join every club, critique group, contest, challenge, and conversation. While many of those things are worthwhile, they can make your day start to look like this. When I decided to pursue writing seriously, I wanted to make up for lost time. Do everything! Work harder! Move faster! But after a couple years, I found that being spread so thin was counterproductive to my creativity. It took too much time from the two most important things that would help me improve: reading and writing. Here’s what I strive for now. Let’s face it, some days we all fail miserably at time management. I know I do. I get online to look up a book and somehow end up watching Youtube videos of the world’s longest volleyball rally. I pop over to look at a Twitter notification about a book launch and find someone spewing hatred over political stereotypes. It’s hard not to be distracted. The internet can be a huge waste of time and detract from writing if not kept in check. Note to self and to anyone easily distracted: set a time limit for social media use! I’m a world traveler at heart. I did my teaching internship in Samoa and played professional volleyball in Europe. I’ve spent time with family who lived in China and Costa Rica and have visited a handful of other countries. I’ve been a bit of a homebody in recent years while raising kids, but I’m anxious to start globetrotting again. Facebook: I run a group called Kidlit Brainstorm, where we exchange quick opinions, votes, and brainstorm sessions on anything that has you stumped. Feel free to join us. 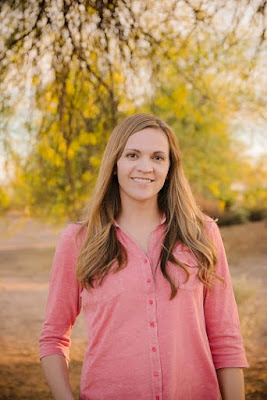 Rachel grew up in Idaho but moved to the southwest when she realized she hates the cold. She writes middle grade novels and picture books, often inspired by the antics of her four bookworms. She is working toward her MFA in Creative Writing for Children and Young Adults at the Vermont College of Fine Arts. Loved your post Rachel! There's a lot of us late-starters out there. Great to see you in the spotlight, Rachel! Oh wow you aren't kidding about number 2 on your advice list. I just started getting interested in writing in the past year, and I have become completely overwhelmed with all the awesome resources and opportunities. I feel like that dog in up who in the middle of something perks his head up and yells SQUIRREL! I'm just now beginning to learn how to time manage, and I'm not that good at it. Thank you for the great insight and advice! What an inspiration! I love your pie chart of balance! Anyone who creates a word like "schmiable" is definitely at home in the kidlit world! Great feature on Rachel! Great article on Rachel! I am still finding my ways about too. 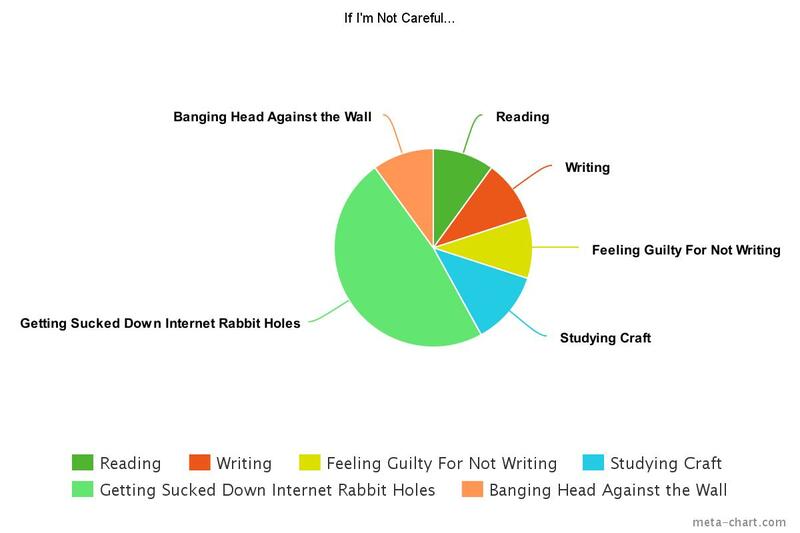 yay for pie charts! I'm glad you saved room for chocolate in your re-engineered plan. Thanks for sharing your insights. Great advice for splitting your time. Great article! I love the pie chart. I love your time pie charts, Rachel! And it's fun to learn more about you and your writing life! Rachel, I rcently joined the brainstorming group and enjoy popping on to learn and support others where I can. Lovely getting to know you better. You hit it out of the park with your 'Should V. Reality' graphs. Thanks for this great post, Rachel! I love your charts! Look forward to reading your books. 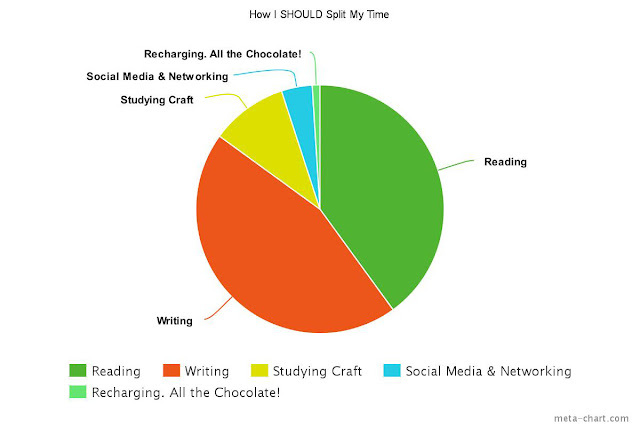 Great post, and I like your charts, too, especially including the chocolate! This is such great advice, especially for a new author like me. Better time management - I'm on it! Thank you! Love your pie charts. So true! Some days I fall short on my writing goals, but your pie chart looks like a perfect way to stay on course. Enjoyed the interview and Rachel's determination. Pie chart is great. Especially the chocolate part. Your PB critique raffle would be wonderful to win. Love your pie charts!!! The internet can be so distracting. Thanks for the great post. Super post - and I can TOTALLY relate. Thanks so much for sharing!! I love your pie chart. I'm totally striving to spend a good chunk of my time reading and writing. Great advice about not spreading yourself too thin. Something I think I can work on! Rachel - perfect pie charts! Thank you for your writing wisdom! Great post, Rachel! But I had to laugh at your reference to being a late-starter. Try 50 years old, lol! Congratulations on your MFA start. And now I should get off the internet . . . Loved your spotlight, Rachel, and your pie charts! Great inspiration! And thanks for the reminder that there is such a thing as being too involved if it's keeping us from the writing time we need. Love the pie charts! Like you, I am too old to not be doing what I love! Great post! Rachel, so nice to see you are doing what you are passionate about, who knew!!?? Good job! My pie chart would be more like, I write, then reward myself with chocolate. Read, then . . . chocolate. Submit . . . more chocolate. Rejection letter, box of chocolates (and tissues). But, still hopeful. Thanks for sharing with us. Very inspiring! I enjoyed your post. I'm striving to get a new, balanced schedule going for our summer. I do know that my writing goes better when I'm online less. Works for awhile anyway. But then, I meander around, see a video or pic that makes me smile, and end up with a new story idea. Loved this post Rachel. Will definitely be joining the brainstorming Facebook group! What a great idea!